I just finished reading two incredible books, Boardgames That Tell Stories and Boardgames That Tell Stories 2 by Ignacy Trzewiczek. This review could be very short and sweet. If you love boardgames, you should read these books. If you want to learn from game designers, you should read these books. If you like to listen to game publishers, you should read these books. If you love Ignacy Trzewiczek and Portal Games, you should read these books. 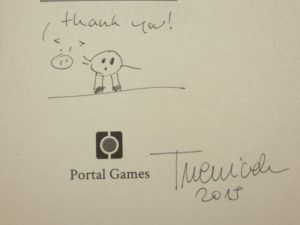 Each book signed by Ignacy. Long live the cows! If you are still reading this post and haven’t already run off to purchase these books and read them, then here is a little more info. The core of the books is a compilation of blog posts from BGG by Ignacy about his game design and publishing experiences, along with some personal philosophical insights. He continues to write this blog, and I highly recommend that you follow it if you are at all interested in the backroom stories and experiences of the game industry. You can learn so much by Ignacy’s transparency. Ignacy loves his fans so much, and it shows in how much he shares on this blog, in these books, in his videos, and at conventions. 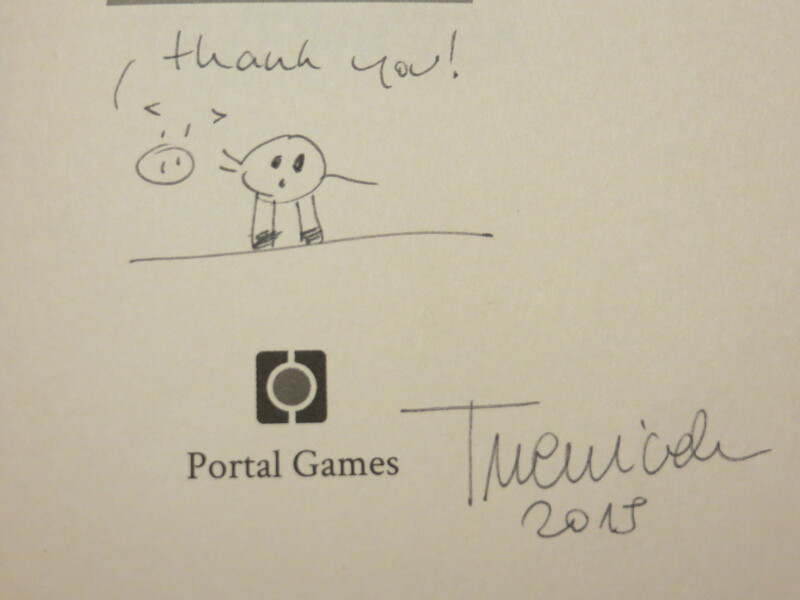 He even took the time to sign each of the books in the Kickstarter. Both these books are a labor of love for Ignacy, but they also are him sharing insights from his game industry friends. So many great game personalities have contributed, including names you are likely very familiar with such as Antoine Bauza, Bruno Cathala, Mike Selinker, Rob Daviau, Vlaaada Chvatil, Eric Lang, Bruno Faidutti and more. I will leave you with titles for an essay in each book that just hint at the fun you will find reading this book…”Why I hate Tom Vasel ;)” by Ignacy and “Why I love Tom Vasel” by Stephen M. Buonocore.” Enjoy. ← Contracts, NDAs, and W-9s, Oh My!